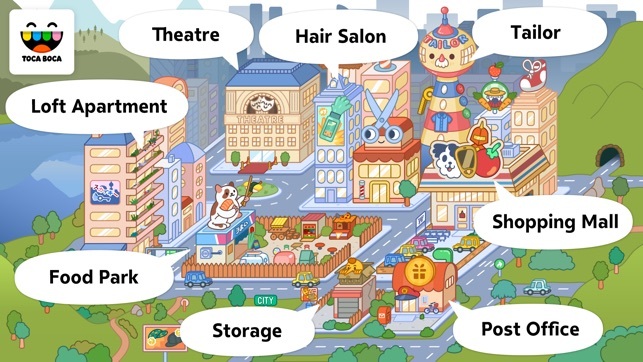 Welcome to Toca Life: City, a metropolis filled with everyday fun! Customize characters, explore exciting locations and find hidden treasures — there’s something in every corner! Thanks to the great response to Toca Town, we're bringing you Toca Life — a series of apps that gives you an even bigger world of everyday fun. 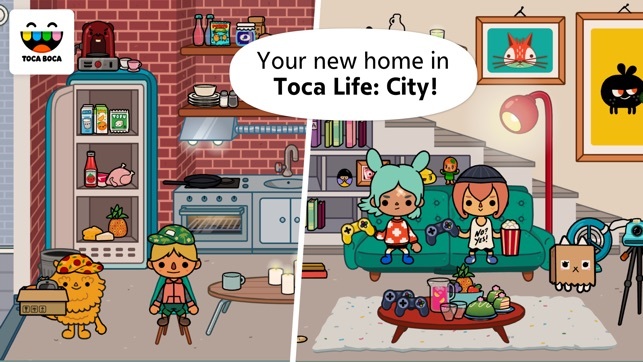 First out in the series is Toca Life: Town and Toca Life: City! Try, experiment and customize. It’s time to get creative in Toca Life: City! 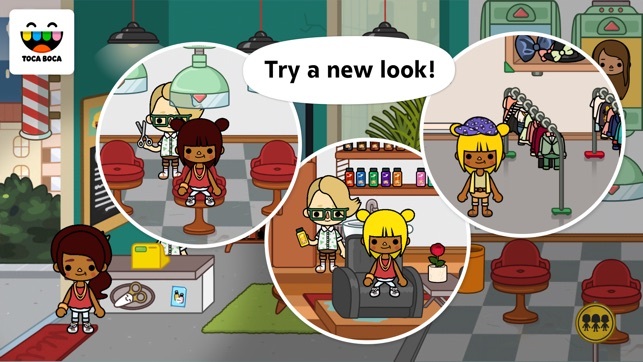 Change outfits, dye your hair any color and switch hairstyles in the Hair 3000! There are millions of ways to personalize the characters — we dare you to create them all. Say hi to 6 locations and 34 characters! Go shopping at the mall, grab a bite to eat at the food park or invite friends over to your loft. Characters, and anything they are holding, can easily be transported between locations. Record and play with the new recording feature! Create stories and record, save the video to your camera roll before sharing with your friends. 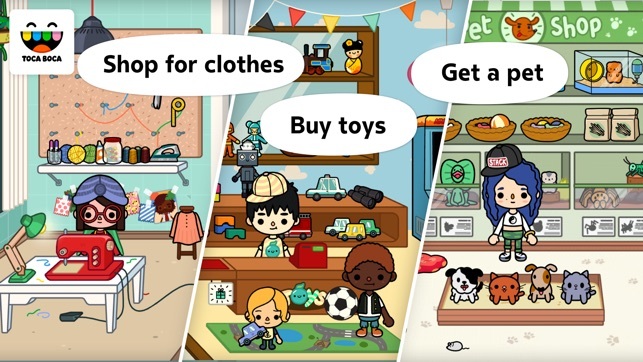 What are your friends in Toca Life: City doing today? You decide! - 35 characters that are customizable in over 4 million ways! - 7 different food stands at the food park — have some sushi with your burger and try the famous fish ‘n chips! Playtime meets storytime in this adorable creative canvas from a trusted name in educational apps. 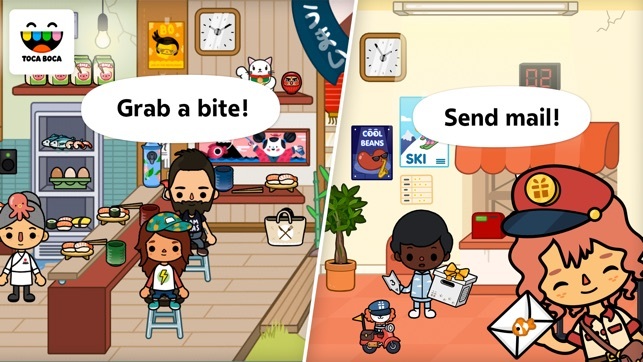 With so many locations to explore, characters to dress up, and objects to interact with, kids are free to invent their own reasons for why kitties are loose in the hair salon. Cooler still: young storytellers can record and narrate short videos of their creations.